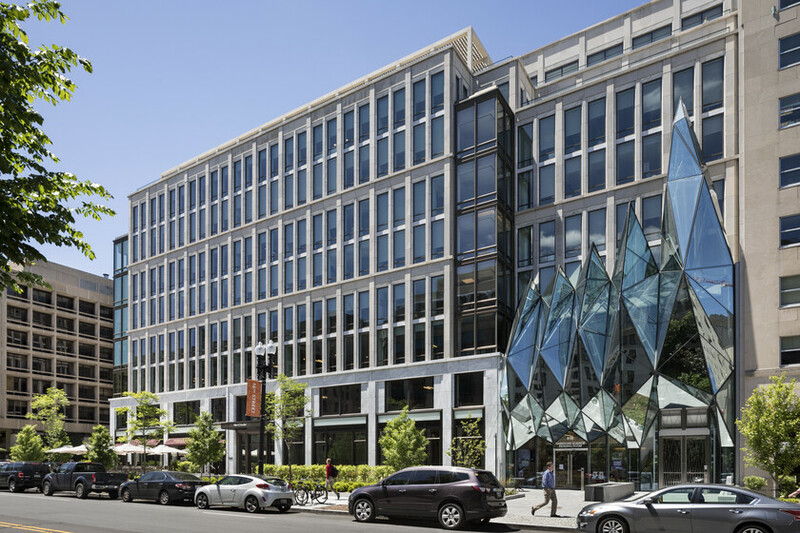 The new office building at 900 16th Street NW in Washington D.C. will achieve a high level of environmental performance, placing it among the top tier of energy and sustainability performers in the D.C. market. 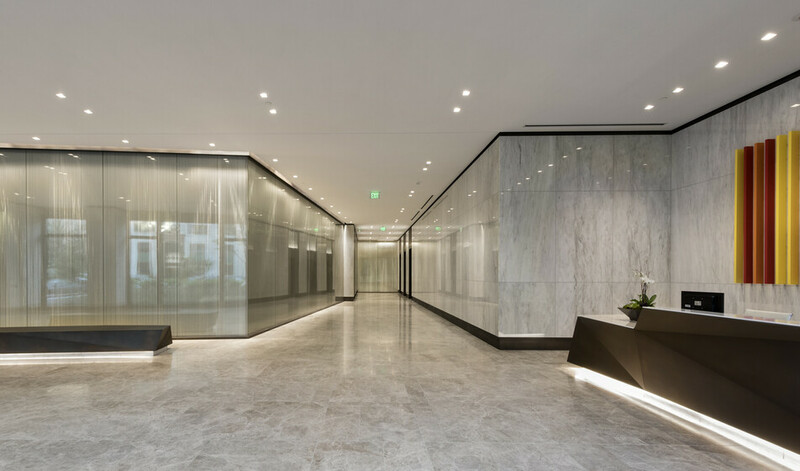 Housing top legal and policy groups, the new office building required lighting that would create a quiet elegance. 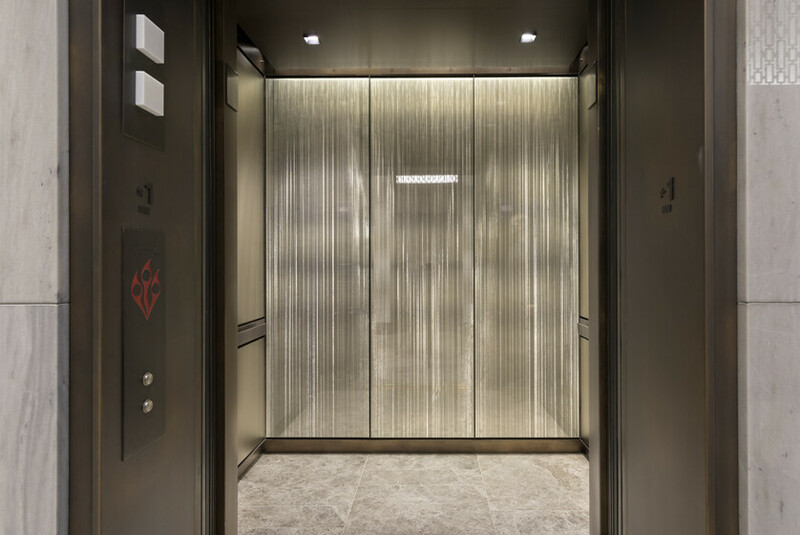 With walls clad in hand-woven, gold thread impregnated glass, the careful application of light emphasizes the delicacy and craft of the material. 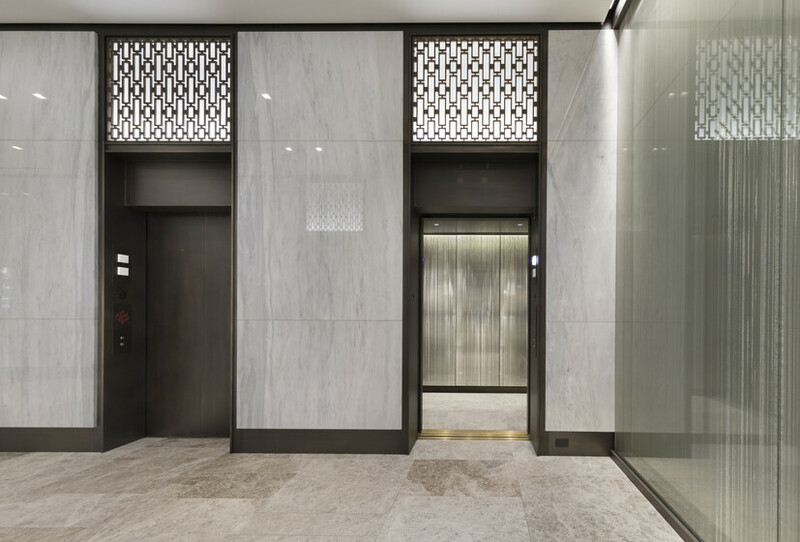 Attention to veiling reflections was key to provide the clean and modern-yet-warm environment. 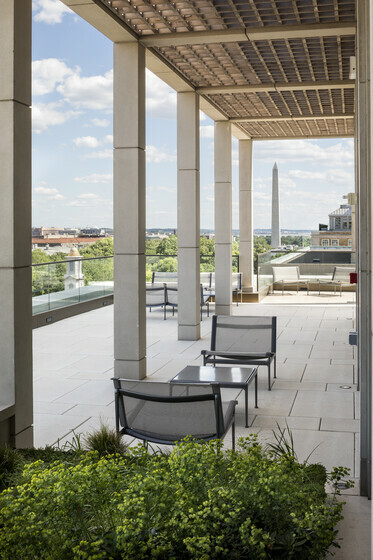 900 16th Street NW houses two distinct functions: office spaces and a new church. The church is embedded in the office building, but distinguished with a glass atrium on the second and third floors. 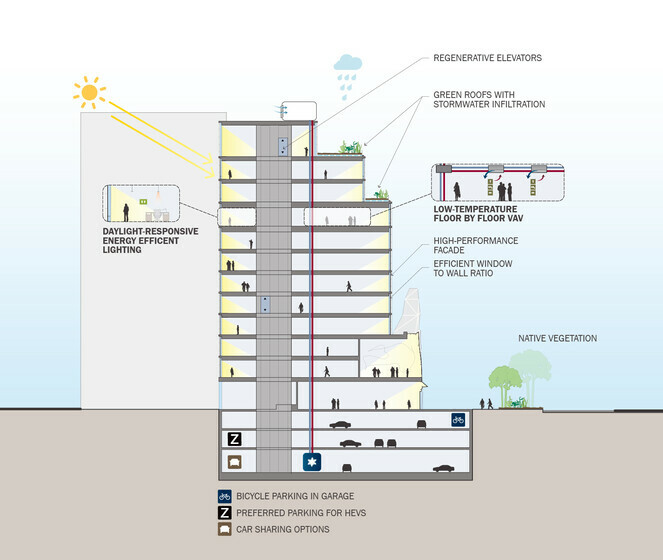 Atelier Ten performed daylight, solar control, and energy analysis, which will guide the team’s design towards achieving a LEED Gold rating.The new building incorporates environmental performance features, including glazing selected for high thermal and visual quality, well insulated façades with low infiltration, high indoor air quality through selection of low-VOC materials and high ventilation rates, and a roof featuring native and adapted vegetation and outdoor space. Mechanical systems are designed to minimize energy use while providing optimal comfort control and air quality. 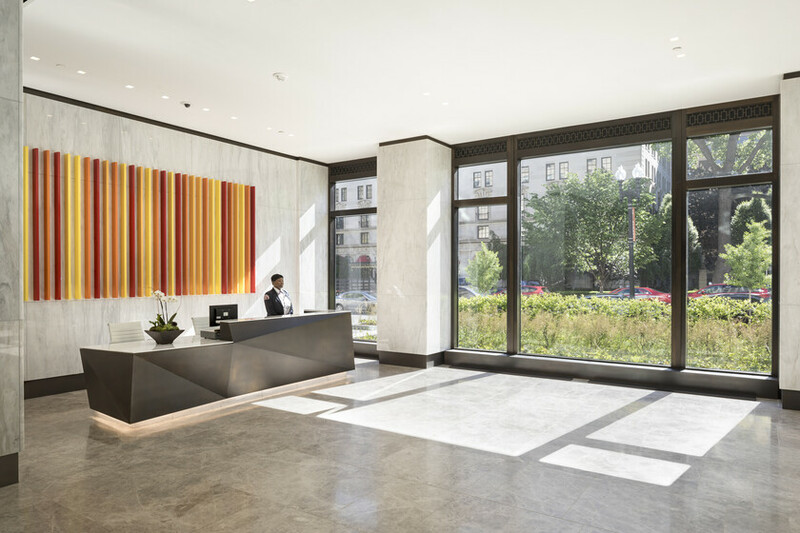 The building is well situated to take advantage of sunlight given the access to open space on three sides of the building. Given the infill location in a busy downtown area adjacent to many forms of public transportation and community services, carbon emissions from transportation to and from the site will be minimized, and the new sidewalk and vegetation design, ground floor retail space, and integrated church facility will all serve to augment the neighborhood.